Keith Hann - Why Oh Why? : Could Kiev turn out to be 2014's Sarajevo? Could Kiev turn out to be 2014's Sarajevo? The famously impartial BBC, along with most of our national press, seems to have decided that the revolution in Ukraine is A Good Thing. Just as they hailed the falls of Ceausescu, Saddam, Gaddafi and Mubarak, and are all rooting in unison for the overthrow of President Assad in Syria. In the case of Ukraine, the now victorious opposition want to steer the country into the European Union, which is obviously progressive and marvellous. 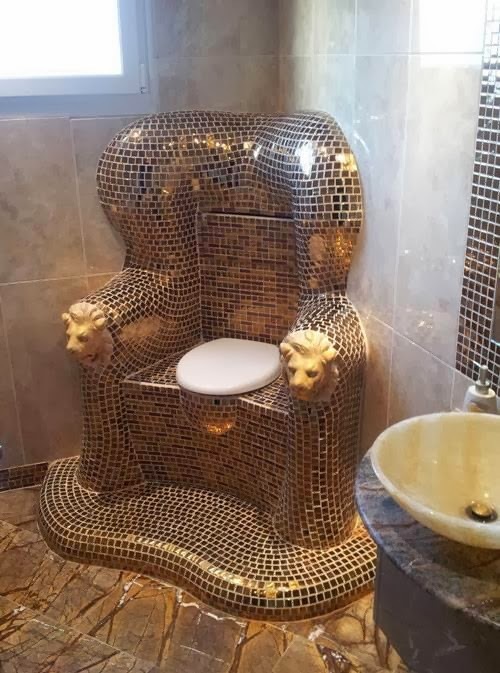 Added to which the ousted President Yanukovych used his security forces to shoot demonstrators, and had execrable taste in interior décor. Both of which are self-evidently unforgivable. When I was at school we were taught that the Whig interpretation of history, which viewed the past as one long progression to the broad sunlit uplands of enlightenment and liberal democracy, had been completely discredited. But it still seems to be very much alive and well in Broadcasting House and elsewhere. 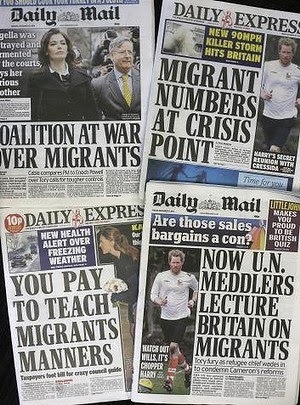 This is perhaps borne out by the oddly selective media interest in overseas uprisings and oppression. 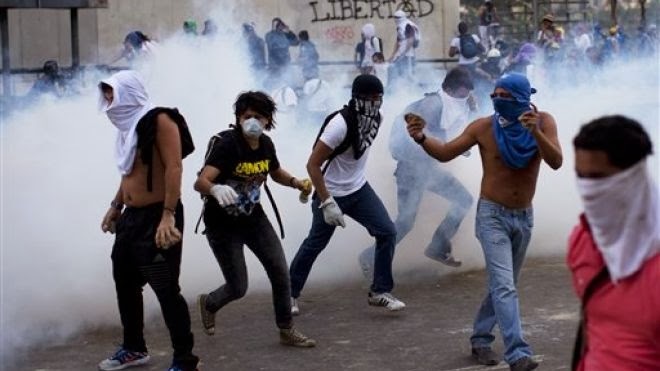 For example, there is considerable civil unrest in Venezuala at present, but we hear little about it (particularly on the BBC) because the country is well known to be a socialist paradise. Venezuala? Nope, nothing to report here. North Korea and Zimbabwe must both be high on anyone’s lists of regimes that are simply evil, but both are very effective at suppressing news-gathering and firmly in the “too hard” pile when it comes to doing anything about them. Now, I do not suggest that fans of the Ukrainian revolution have necessarily got it wrong. I merely note that many leading opposition voices there appear to be, for want of a better word, fascists. Similarly, while no one disputes that Saddam was a monster, to what extent has life improved for the average Iraqi since he was overthrown? Look closely at the Al-Qaeda-affiliated opponents of Assad, and one cannot help but wonder whether that is a simple conflict between right and wrong. One may also pause to wonder just how long the enthusiasm of much of the British press would last if Ukraine did join the EU and immigration from there replaced the inflow of Romanians and Bulgarians on their list of things to fulminate about. I freely confess that I know almost nothing about Ukraine. My views are probably skewed by the fact that I learned political geography from my brother’s 1938 Chad Valley tinplate globe. This not only gave me a wholly inflated idea of the extent of British power, but also taught me that Lvov (now the Ukrainian Lviv) was one of the major cities of Poland. Given the massive shifts of boundaries and populations at the end of the Second World War, it should come as little surprise that not all Ukrainians share a common view of their place in the world, or their destiny. 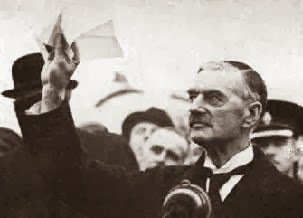 History has given Neville Chamberlain an absolutely terrible press for describing the dispute over the Czech Sudetenland in 1938 as ‘a quarrel in a far away country, between people of whom we know nothing’, but I cannot help thinking that it would serve as quite an apt description of many of the lead stories in the news today. Similar words might easily have been used about the assassination of an Austrian Archduke in Sarajevo in 1914, and we all now know where that led – though few had any inkling of it at the time. Perhaps in a hundred years people will turn the yellowing pages of 2014’s newspapers, as we do those of a century ago, and shake their heads in wonderment at the innocence of those poor people who failed to see the spark of their coming destruction. All one can do is devoutly hope not. One of the best things about living on an island is that we in Britain have a ready-made excuse for being insular. We cannot isolate ourselves from events elsewhere in the world, and we should always try to support good versus evil. I merely observe that the distinction is not always clear-cut, and there is absolutely no need for any of us to wade into conflicts we do not fully understand, and in which no vital British interests are at stake.